SOUTHPORT-ENGLAND – Shiv Kapur of India pictured during an official practice round on Tuesday 18 July, during an official practice round ahead of the 146th Open Championship at the Royal Birkdale Golf Club, July 20-23, 2017. Picture by Paul Lakatos/Asian Tour. 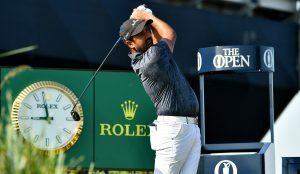 Southport, England, July 18: Shiv Kapur of India will have more than one way to play the Royal Birkdale course when he tees off his in third appearance at The Open on Thursday. 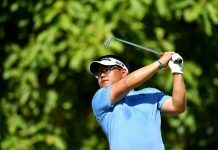 Kapur, who qualified for The Open by winning the qualifying series in Woburn, has learned from past experience and he hopes to put it to good use in the year’s third Major tournament. “I’ve played this golf course in two completely different winds so you need to have two strategies rather than one. You learn how to combat weather when you play on links courses and most of the time the yardage books go out of play. It is a lot of feel, ball flight control and creativity. You need to use a lot of imagination,” said Kapur. “This is my third Open and I’m comparing the course to my previous experience. It is a tough test but very fair at the same time. The trouble confronts you and there aren’t many blind shots. “You got to hit it straight off the tee. There’s a lot of premium to hit the fairways and once you do that you get a chance to eliminate mistakes. Around the greens are easier as compared to other Open courses but tee shots are demanding,” he added. Kapur is wary of the unpredictable weather conditions. When he played at the 2013 The Open, he was tied fourth after the opening round before ending his campaign in a share of 73rd place. “It all depends on the weather. If you get good weather then you have a chance to score and if you get a windy or rainy weather, it changes the course completely. I played Muirfield and I remember the weather got so hot and the greens were impossible. The fairways were probably faster than the greens so it made it very tricky. By the end of the week, it got cold and windy,” he said. 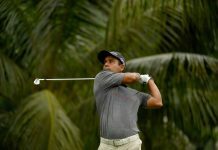 The Indian has enjoyed a stellar season in 2017 after winning his second Asian Tour title in April and qualifying for The Open. He struggled late last year after going for a liver surgery and returned in mid-December after resting for three months. Before the surgery, he lost his European Tour card. “It has been a good year. In the first three months of the year and the end of last year I was really frustrated and the win in Chinese Taipei was the turning point for me. Since then, I’ve kicked on and luckily for me it wasn’t just one good week. 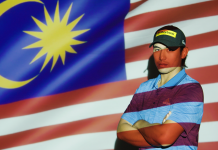 I played well at the Thailand Open and in Europe. 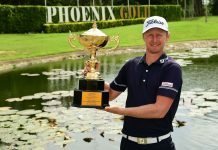 It is hard to set any scoring goals this week but I want to walk away from four rounds feeling like I played well and didn’t give away any shots,” he said.